Established in 1998 and purchased by eBay in 2002, PayPal is the leading digital payment company in the world with “over 148 million active accounts in 26 currencies and across 193 markets, processing more than 9 million payments daily.” If you’ve spent more than a day online you’ve likely used it to pay someone (like us) or you use it to receive payments — it’s one of the most ubiquitous digital brands today. Yesterday, PayPal announced a new global campaign by Havas Worldwide and introduced a new identity designed by San Francisco, CA-based fuseproject. With the help of award-winning design firm, fuseproject and feedback from people who use our products every day, our new brand identity flexes to fit all screen sizes, from wearables and mobile to the biggest, flattest high-definition TVs. It’ll be more legible and recognizable in both type and colors and will easily extend to be usable across the look/feel of various systems, and in the 193 markets we serve worldwide. Connection is a motivating principle behind the redesign — connection to money, to people and between people. It was important to evoke connection that was human and approachable, not too technical. Working closely with PayPal, we designed an identity to better express its innovative DNA and future as the leader in digital payments. The result is a system with a bolder wordmark, stronger monogram, more vibrant colors and a dynamic angle graphic that increases user perceptions of trust and innovation. We focused on two key themes for design: connection and forwardness. For connection, we designed a new monogram with overlapping double P and transparent effect to emphasize human connection. 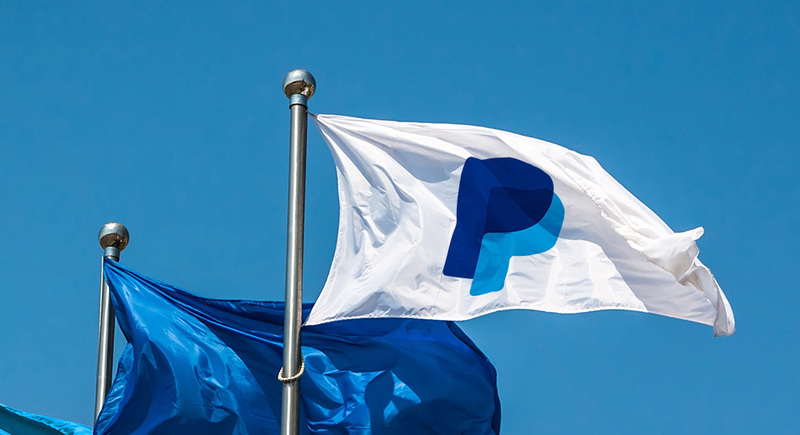 For forwardness, we strengthened the italics that have always been a part of the PayPal logo — harking back to the brand’s heritage, and affirming a forward thinking spirit. A look at the process and new identity. 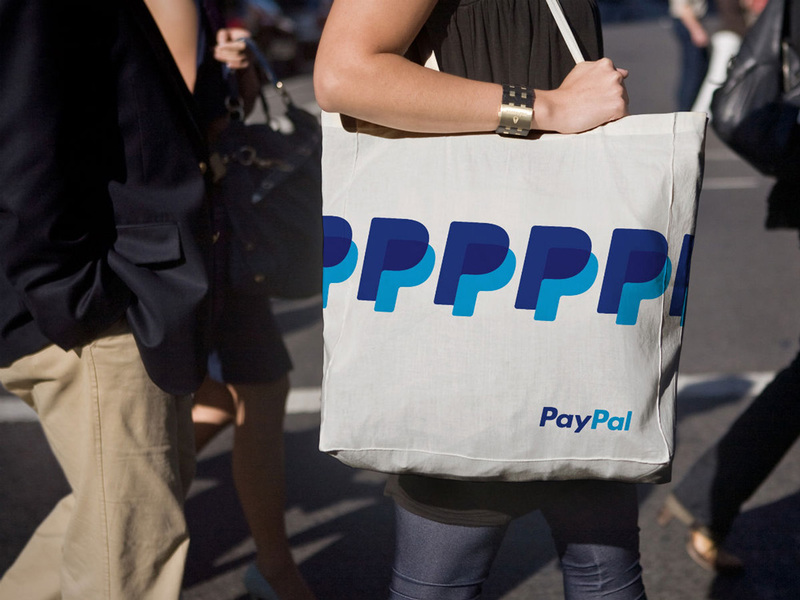 I have never liked PayPal’s logo. In fact, I have never liked PayPal, period. For as long as I have used it (12 years and counting) I have dreaded logging on to my account and having to deal with the interface and structure of the site that I believe has literally not changed in the last 12 years — the dashboard measures a measly 760 pixels wide, among other limitations. The thing works, that’s for sure, and it’s helped us have a business but why it’s had such mediocre usability for so long is baffling. So, to me, the mediocre logo has always represented appropriately the mediocre experience of using PayPal. Over the last year or two, PayPal has been dressing up its gateway into your account, making it seem like, perhaps, changes are coming to the inside and for the first time I thought, “Wow, PayPal actually looks nice”. For now, the window-dressing continues with the new identity. The new logo is a really good evolution that unquestionably modernizes the previous logo. The double-P monogram has a nice rhythm to it and the two “P”s assemble together warmly — they are spooning. The typography, a modified Futura italic (or, actually, oblique), is a perfectly acceptable solution that reads more cleanly than the previous whateveritwas. The brighter blue hues help the logo compete better against the livelier identities of other payment gateways like Square. In application, there isn’t much to see, and I don’t really expect much to happen. We will most likely see the new logo just sitting there in places. Nothing wrong with that. The voice of Powering The People Economy is expressed through People-isms: simple pieces of language that elevate our product features into moments of personal empowerment. People-isms capture what we do best, and how we enable folks to get what they want and demonstrate our understanding of their lives, while celebrating the human spirit. Another TV spot. (I don’t know who she is). Our campaign will appear across all paid, shared, earned and owned channels — wherever in the world people see it. The characters we feature are people just like you and me: happy, proud, busy in their lives and looking for ways to make it more frictionless. They are people with positive energy who believe in actively making the world work better for them. Our illustrative style is fresh, modern and human. Our type treatment has a hand-drawn feel that makes it friendly and populist. I like the new TV spots, it’s a nice blend of quirkiness and seriousness with the hand-drawn illustrations and the more heartwarming ladies talking to us. I hate the static ads. They look so fake and forced, from the supposedly “people just like you and me” to the perfectly polished “hand-drawn” typography. Just… ugh. Overall, not counting the annoying static ads, this is a really great improvement for PayPal, one that signals a bigger commitment to both its audience and the public at large, aiming to become a more consumer-friendly brand as opposed to the kind of geek/dork/techie vibe it’s always had. Unfortunately, for me, as long as they don’t improve the actual tool that lies under the aesthetic surface, I don’t see the significant improvement or powering of the people that PayPal touts. (And by “Improve” I mean rip the guts out of it and start from scratch — it’s that bad). Thanks to James Young for the tip. 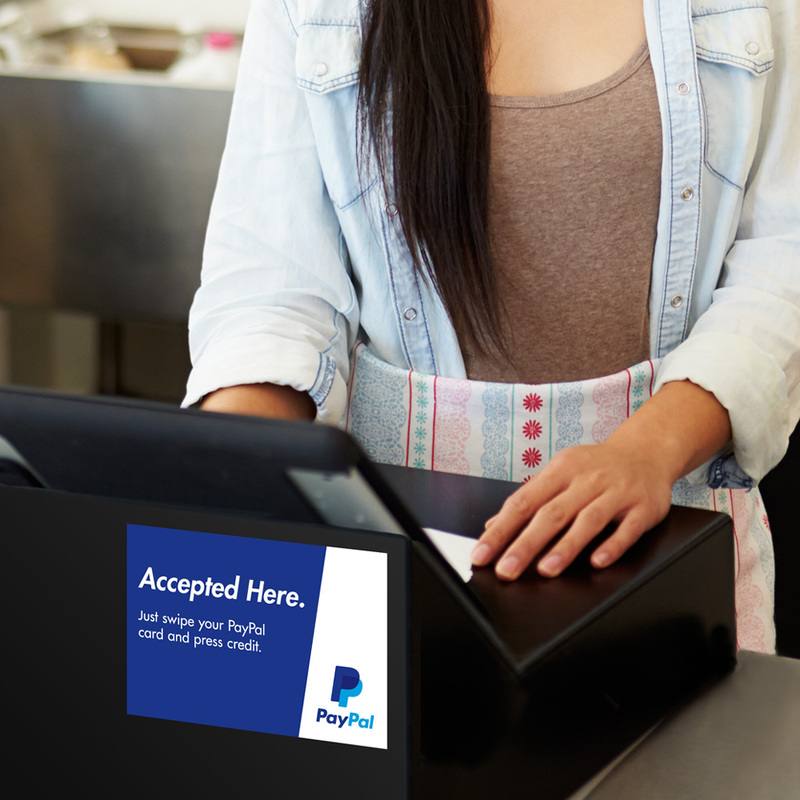 Established in 1998 and purchased by eBay in 2002, PayPal is the leading digital payment company in the world with \"over 148 million active accounts in 26 currencies and across 193 markets, processing more than 9 million payments daily.\" If you've spent more than a day online you've likely used it to pay someone (like us) or you use it to receive payments — it's one of the most ubiquitous digital brands today. 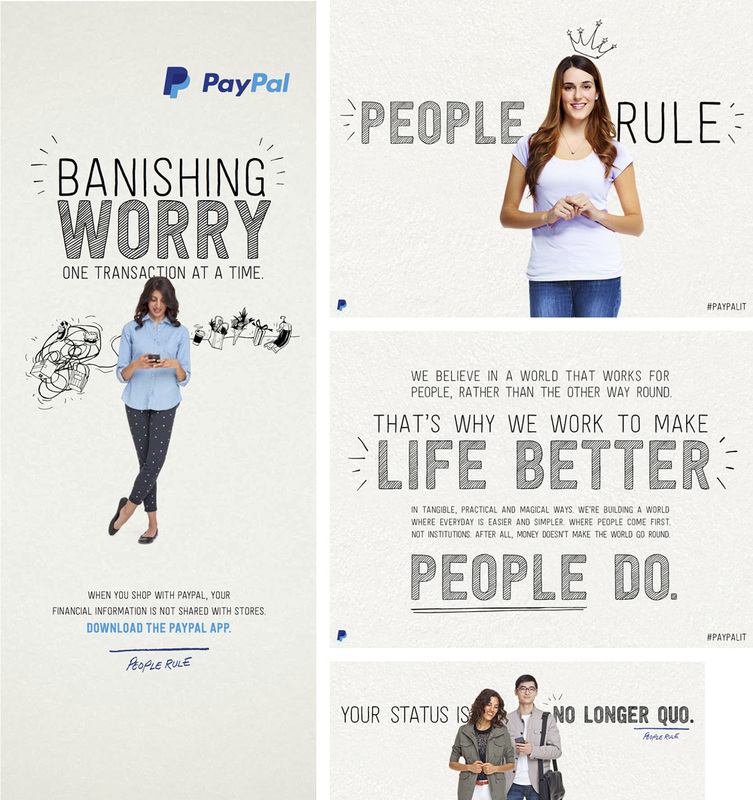 Yesterday, PayPal announced a new global campaign by Havas Worldwide and introduced a new identity designed by San Francisco, CA-based fuseproject.